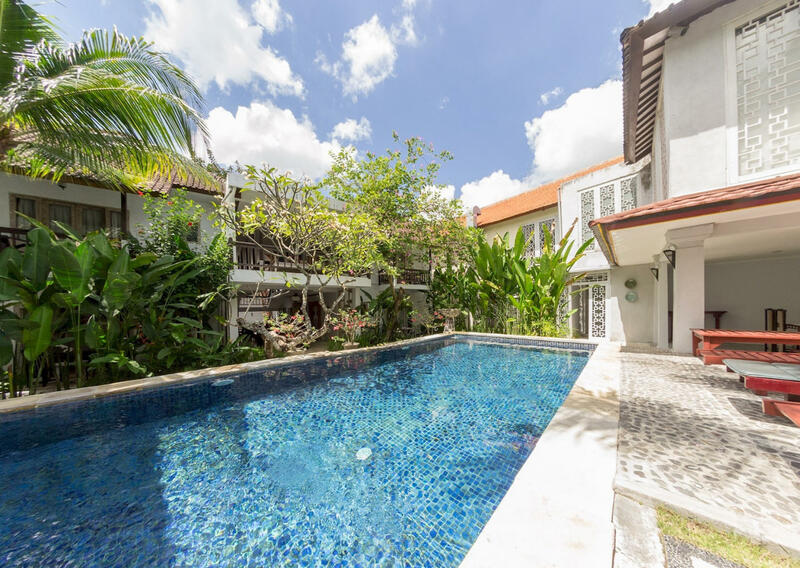 Abian Biu exist of 4 rooms designed with Paranakan interiors, which are located in a boutique 'mansion'. Two of them are located on the ground floor and have a small terrace. The other two are located on the first floor and have a small balcony. The rooms overlook the beautiful 10 meter shared pool, where everyone can relax all the day. Moreover, the rooms provide all comfortability that is needed while being away from home. Three of the rooms include a queen sized bed and one of them include a twin bed. Furthermore, the mattress, pillows and linen are of very high quality and will guarantee a good sleep! Moreover, the rooms include a bathroom that is fully equipped, a closet, chairs, a table, a TV, a small fridge and a locker.Moreover, the room is equipped with air-conditioning. There is free coffee and tea available in the room. Furthermore, there is 24-hours staff and security during the night. Moreover, the hotel has a restaurant on-side for breakfast, lunch and dinner. Room service is available from #########. Moreover, the housekeeping will clean your room on a daily basis and make sure the room remains in a great condition. Furthermore, the team can help you arranging extra services in the room or tours and excursions. There is also WIFI connection available, which can be used for free. 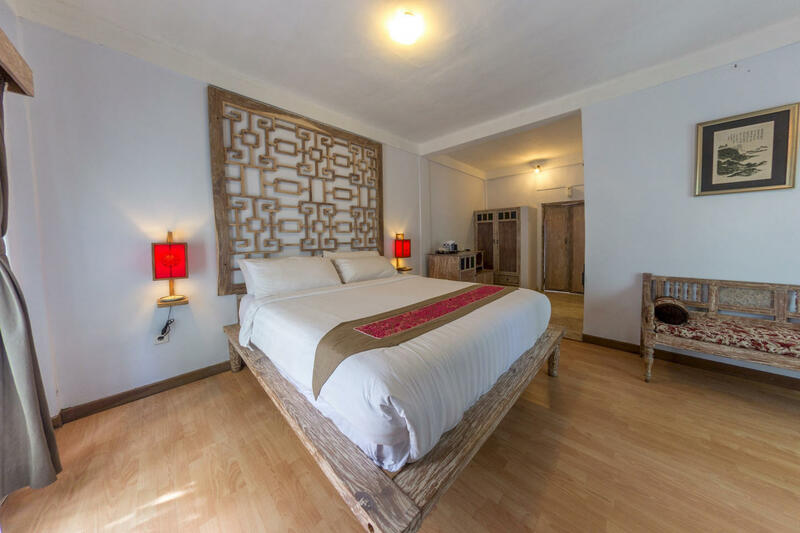 The rooms are located in Umalas, which is a peacefull and quiet place. It is perfect for relaxing. 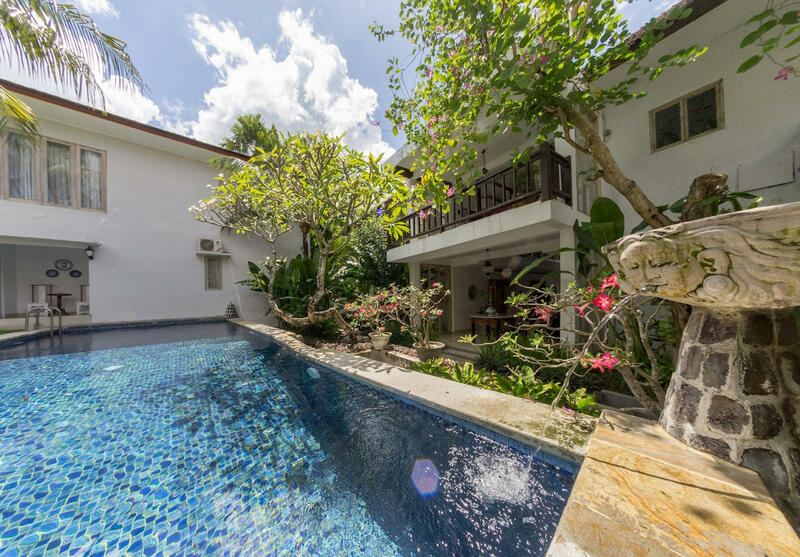 It is just a few minutes away from Canggu and Seminyak. The closest beach is Batu Belig Beach, which has several bars. This beach is 4 km away from the room and is also not that crowded. Another beach that is located close by is Berawa beach, which is a little bit more crowded (especially during sunset time). This beach is 1,77 km away. Moreover, to experience the culture of Bali. There are several temples that are worth visiting. One of them is Tanah Lot, which is not that far from Umalas. This temple is very popular and provides you a real experience with the Balinese culture. It is very nice to visit this temple before sunset and staying there during sunset, as this provides you a beautiful view. Moreover, it is always possible to come across several traditional ceremonies in the neighborhood, such as a wedding or a funeral. When it comes to eating, there are some restaurants located nearby. One of my favorites is Monsieur Spoon, which is a French bakery and provides you a perfect breakfast or lunch. It is around 10 minutes walking distance. Moreover, the Nook restaurant is a very nice place, as it overlooks the rice fields. This restaurant is around 15 minutes walking distance. Moreover, these rooms provide a perfect getaway for couples, families and anyone else that do not want to stay at crowded places. After confirming a booking, you will receive a link with all arrival information. You can pre-book an airport transfer. We advice to rent a motorbike or car to go around. This gives you freedom and can explore Bali. A taxi can be ordered at any time and arrive quickly. These are relatively inexpensive.